I know, florals for spring is hardly groundbreaking, but after a long cold winter, seeing actual blooms and floral prints is a welcome sight. 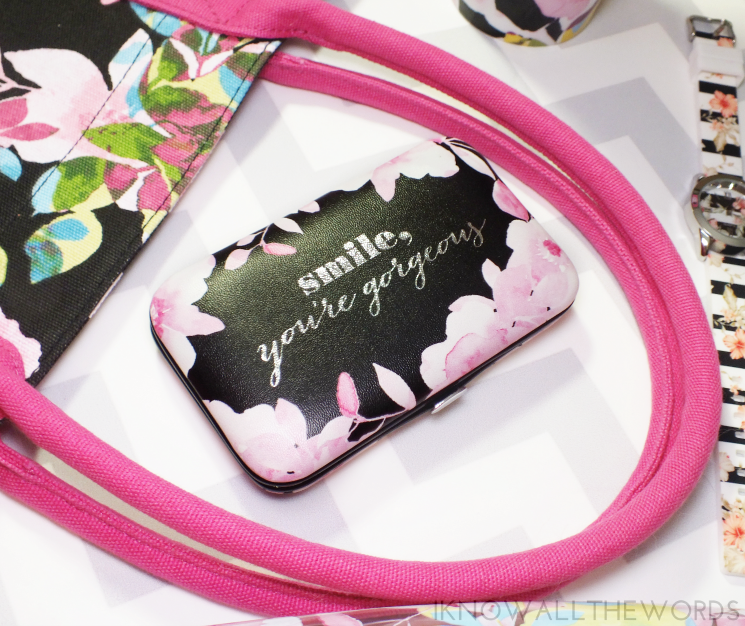 Avon is serving up an array of sweet and feminine florals on an array of products you're definitely going to want. 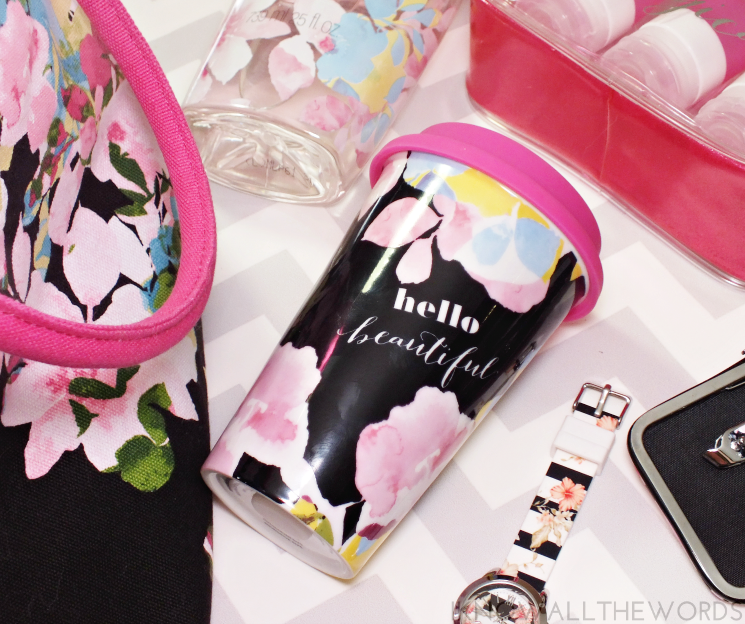 I'm a mug-aholic in general, but the ceramic, abstract pastel floral on black base that make up the Be Inspired Travel Mug are extra covet-able. 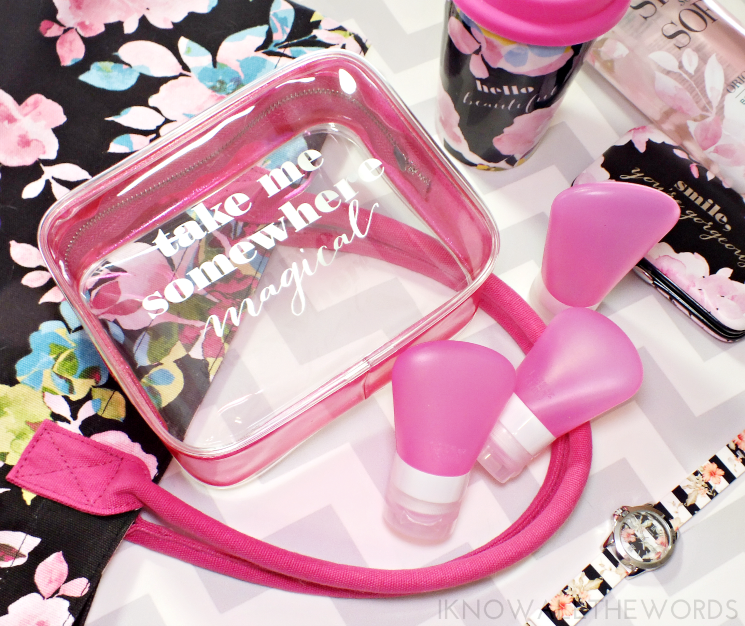 Add in the pink silicone travel lid and "Hello, Beautiful" message and you've got mug perfection. Oh, and if you're wondering it holds just under 13 ounces. For the jet-setter ladies (or wannabes...) the Kate Spade-esque Be Inspired Travel Set is an essential. The clear zip bag if full on girly-girl themed with pink glitter sides, a rose shaped zipper pull, and three silicone travel bottles (two 37 ml and one 60 ml bottle) to fill with your favourite potions and must have beauty elixirs. And yes, they snap very securely, so your products will actually say in their bottles. An Avon classic gets a floral makeover with the Spring-Limited Edition Skin So Soft Original Bath Oil. The oil is the classic jojoba infused formula with the original botanical and herbal scent, it's the floral clad bottle that makes this that extra bit special. A little pour of the bath oil makes bath water an intensely hydrating, skin softening experience. Forget the corsage. 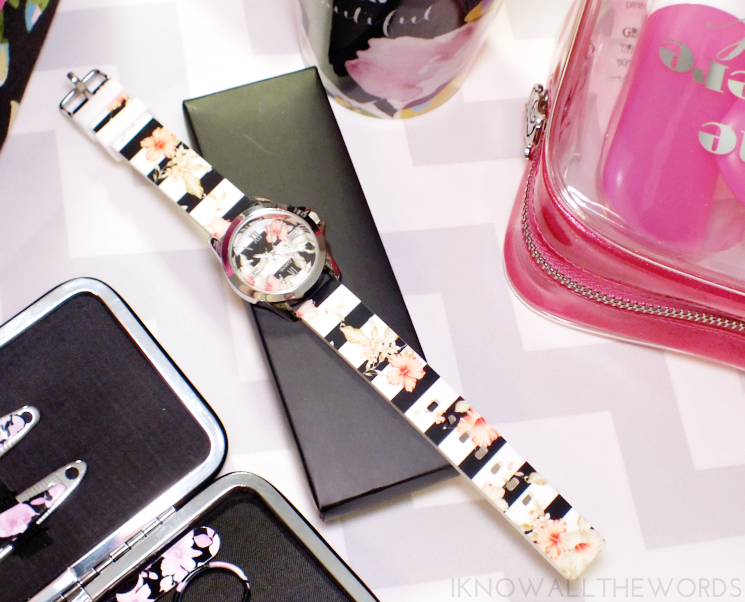 Wearing cute florals on your wrist is as easy as the Pretty Floral Stripe Watch. Available in tan and white, or black and white stripes with flowing peachy-pink blooms on the silicone straps ans silver edged watch face. Last up on our floral extravaganza, the Full Bloom Canvas Tote Bag. 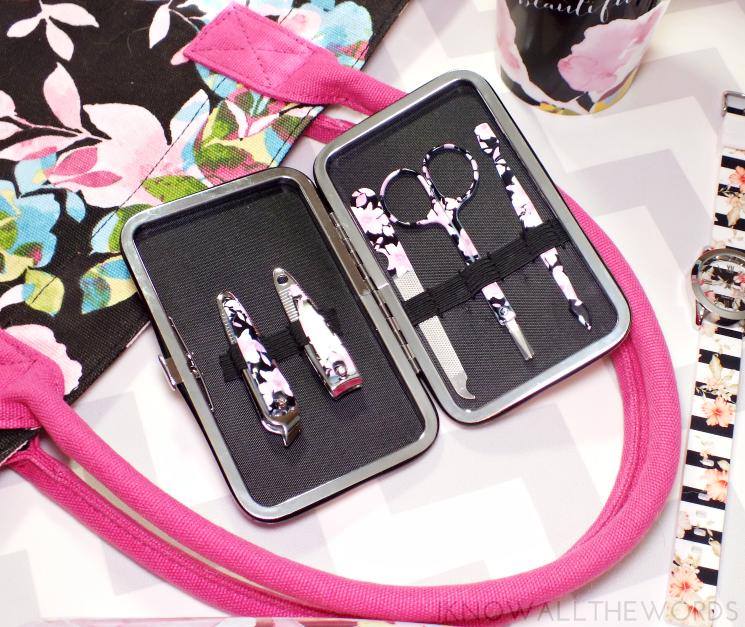 The black canvas bag is clad in the same abstract floral found on the Be Inspired Travel Mug with pink accents on the handles and bottom. The tote is a nice, larger size and includes a deep pocket inside for stashing your essential items- no rummaging around in the depths to find them. Overall, some really cute and useful items. What do you think? Could you use any of these floral items in your life?